For consultants and independent info pros, public speaking can be an excellent way to showcase our expertise, skills and share our knowledge. 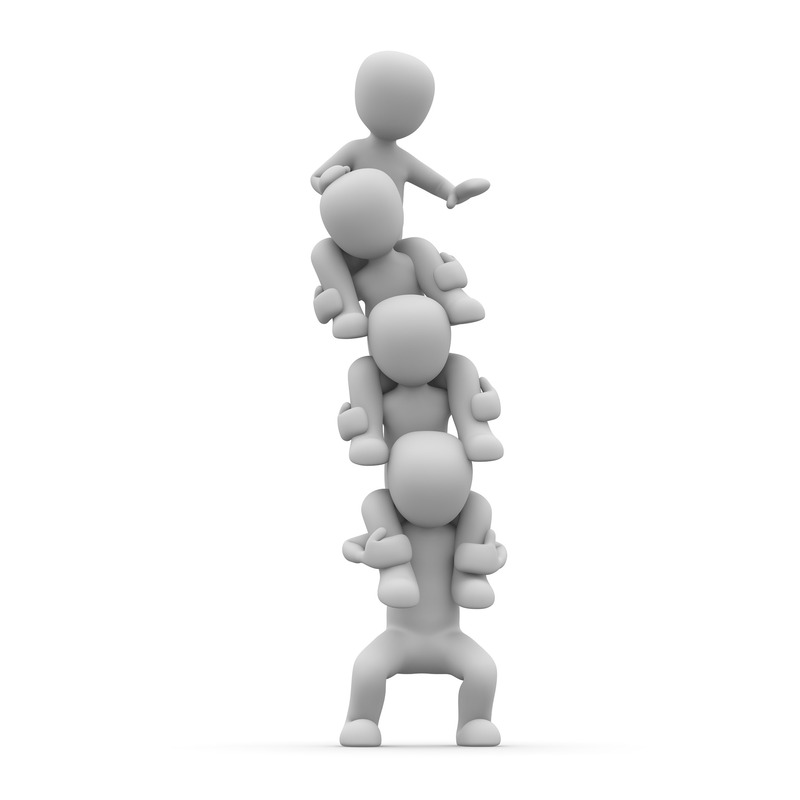 It’s also a tried and true marketing tool to build our networks and raise visibility among our target client base. But public speaking can be intimidating and many people shy away from it because of anxiety or uncertainty. 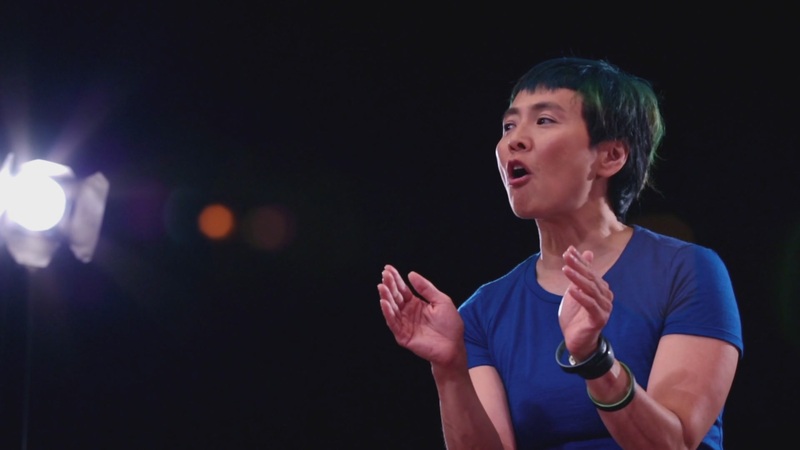 AIIP member, go-getter and all-around volunteer star, Cathy Chiba from Vancouver, British Columbia, tells her own story of the road to overcoming stage fright and becoming a confident (and accomplished) speaker. She shares 6 lessons on how to conquer center stage at your next event or presentation. Even if you aren’t speaking on stage or presenting in front of hundreds, there’s much to be learned in Cathy’s journey and tips. One of the most memorable, valuable, and dreaded sessions of the AIIP Annual Conference is the Introductions session, in which each attendee comes to the front of the room and gives a very short elevator speech. It’s an exercise in speaking up, standing out, and telling the world who we are and what we are about. It’s a valuable exercise. But it can still be acutely uncomfortable. Are You Making Yourself Heard? 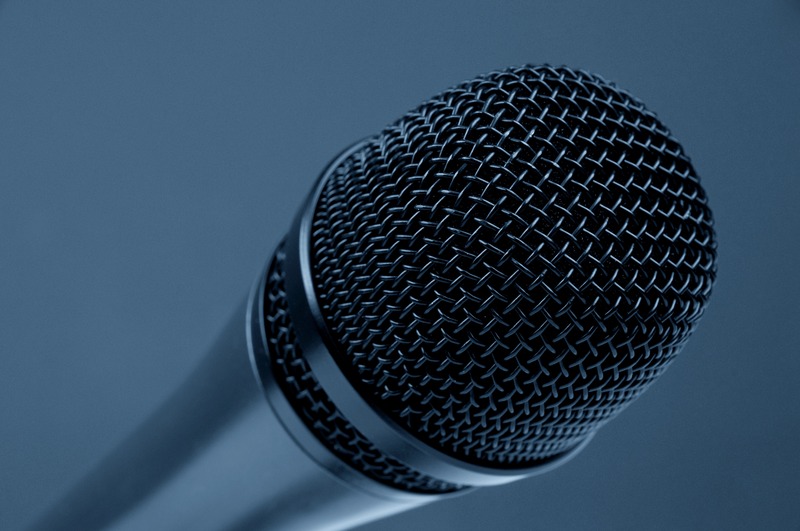 As business owners, we generally understand that public speaking can be an excellent way to showcase your expertise and connect with new clients. However, many of us find it a source of anxiety. A certain amount of anxiety is natural. It keeps us alert, and drives us to stay aware. However, are you avoiding opportunities to stand out because of anxiety about public speaking? Could a fear of public speaking be reducing your ability to engage or perhaps even serve your clients? 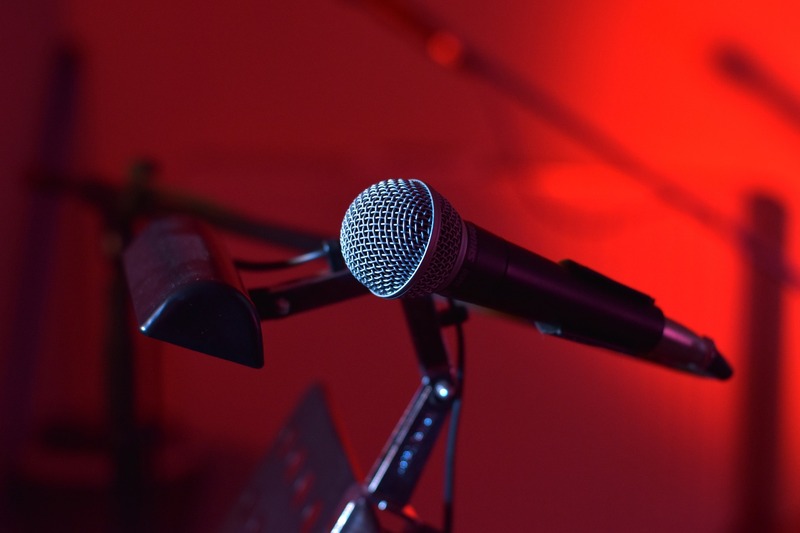 Stage fright can be extremely limiting. We don’t all have to want do speaking engagements, but we should feel comfortable speaking up in other situations. And stage fright can get in the way. I blame the cream-colored pants. When I was seventeen, I had my first brush with traumatic public speaking. I had joined the debating club, mostly because I had a crush on Marc, the debate club rock star. He and his partner were a joy to watch. They were quick witted, dynamic, devastatingly analytical. They made theatre out of index cards and structured argument. I remember only parts of my first debate. I remember being in an unfamiliar classroom, uncomfortable in my tasteful white dress shirt and cream-colored polyester dress pants. I fuss over the ideas scrawled on my index cards, scribbling notes up and around the corners of the cards. It’s almost time for my debate. I have trouble settling my brain down. My mind is still buzzing with anxiety when it’s my turn to speak. I’m still thinking, even as I take my place at the podium. And that’s where the memories turn to fuzz. I don’t remember much, only isolated images and feelings. A sudden dry hollow feeling in my mouth. A spreading weakness in my hands and fingers as I grasp my index cards, squinting at my scrawl. My voice, trailing off. A long, uncomfortable silence. Cream colored pants? Never again. I don’t do debates, either. Putting yourself out there—whether you speak in public, write a blog, or speak up in a forum, in-person or virtual—is scary. It’s not unlike choosing to run your own business. You are taking a risk. You put your social self on the line. You take a stand. And you will generally make the most impact when you take a stand about something you care deeply about. Michael Port, author of Book Yourself Solid and co-founder of Heroic Public Speaking, has said that public speaking is an inherently traumatic activity. You are taking a risk, and doing so in public. It won’t always turn out the way you want it to. And because it will unfold in front of others, perhaps subject to the judgement of others, you may feel extraordinarily vulnerable. Stage fright is a natural consequence of feeling so vulnerable. It’s completely normal, very common, and definitely something one can overcome—even accidentally. I don’t suffer from debilitating stage fright today, despite being a naturally anxious person. In fact, over the past year, I’ve been devoting considerable energy and focus on developing as a public speaker. I’m now comfortable on stage. I enjoy it. And most of the time, it shows. So why didn’t a traumatic public speaking debut translate into a permanent fear of public speaking? I believe the turning point was working as a science demonstrator. Shortly after graduate school, I joined the science center as an “exhibit facilitator.” As the job evolved, speaking became part of my daily routine. Two to three times a day, often on a platform called Center Stage, I performed for audiences, blowing up zucchinis, putting marshmallows in vacuum chambers, or persuading small children to touch electrified devices. The work environment was fun and nurturing, and I had plenty of colleagues as support. In a way, my work turned into accidental therapy—a form of exposure therapy, in which I faced a fear repeatedly in a safe environment. 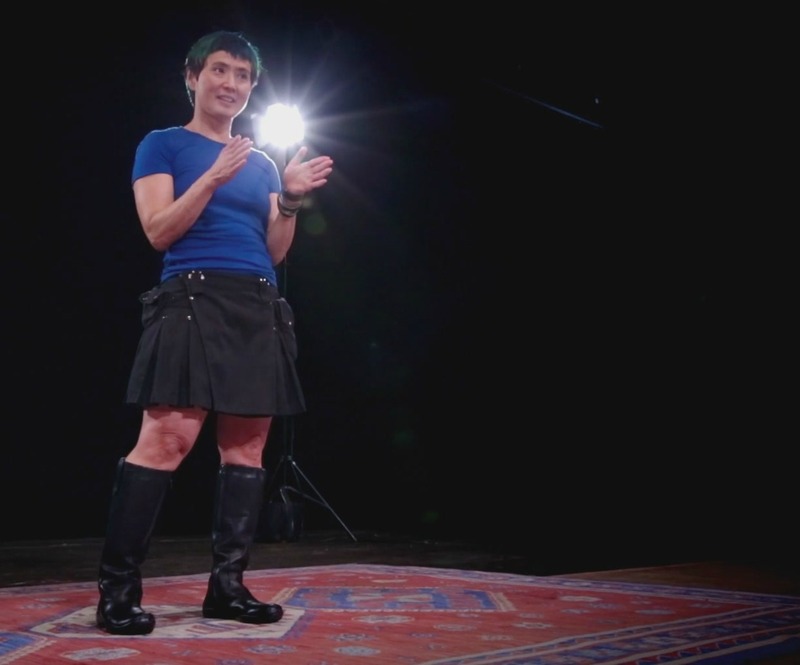 In my first rehearsal of my first science show, I was terrified. My voice started to disappear, and the content I’d learned collapsed into a pile of mental clutter. But my colleagues were on my side. As a result, I got better. Here are a few key things I learned at Center Stage. 1. Be who you are. We often worry that only certain types of people make good public speakers. It’s not true. You don’t have to be someone else to be engaging. Work with your strengths. When I worked at the science center, I often watched my colleagues do their shows, and watched the audiences watch them. We were all different. Some of us were very, very good, but there wasn’t one way of being good. Some were flamboyant, some were polished, and some were just quietly, compellingly, odd. Some used comedy and schtick to move their shows along; others made audiences fall silent and rapt, speaking with soft, measured tones and long, thoughtful pauses. You don’t have to tell jokes if you don’t tell jokes. You don’t have to be a smooth talker, a salesman, or an actor with classical training. It’s okay to trip over words from time to time, or to blush when you’re just the tiniest bit flustered. One of my favorite performers blushed like a beacon, and he was absolutely loveable on stage. When people come to see you speak, they come to see—and connect with—a real human being. They, like you, do not imagine making real connections with no-name salespeople or smooth-talking consultants. But if they see you, even a glimpse of you—vulnerabilities, idiosyncrasies, and all—you offer them a gift: the possibility of real connection, of empathy, discovery, and delight. 2. Make it a conversation. A speaker and an audience are partners in a social transaction; it is a dance, a series of invitations to share and engage. Don’t shut out your audience. They are your collaborators. They can help you succeed, and they want you to succeed, but you have to invite them in. You can engage even if you are alone in a room, as you might be for a webinar or a podcast. Use your imagination; help your audience use theirs. Tell a story. Ask a question. Give folks time to think their answers. Think about enjoying a phone conversation with a close friend. It doesn’t have to be that different. At the science center, we often chatted with audience members as we set up our shows. It was fun, and it helped us relax. It was a way to connect as human beings. And once we started the show, we already had at least a few connections in the audience. Starting the engagement can be as small as a look, or a smile, or catching someone’s eye. Chat if you can, but the conversation can also be nonverbal, and still be enough. Don’t fear technical glitches and errors; look for their gifts. 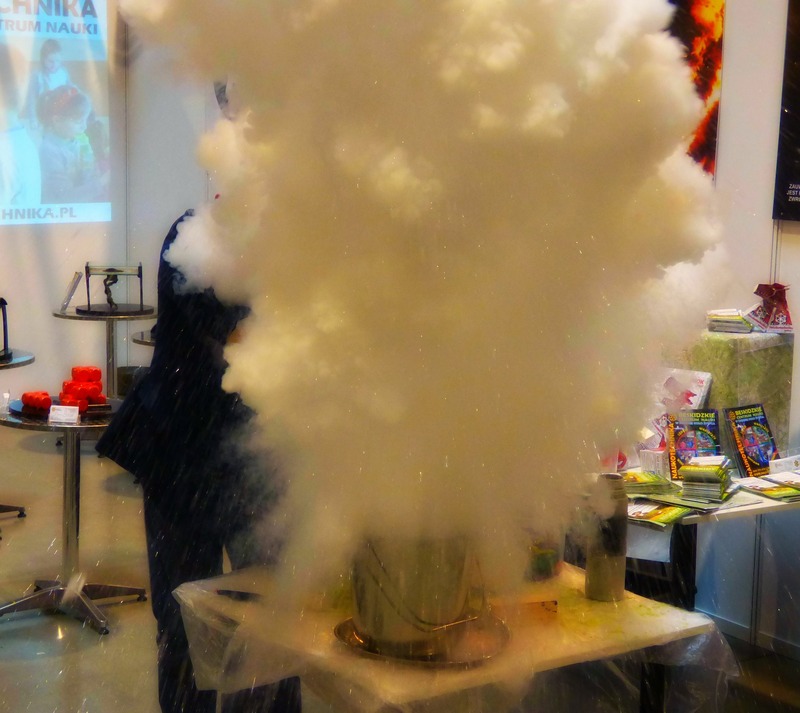 At the science center, we had a demo called “Burning Money”. We would coax an audience member to lend us a paper bill, place it in a jar of liquid to “launder” it, and then dry the bill by setting it on fire. The clear liquid was alcohol and water. The alcohol burned, the water absorbed the heat, and the money stayed intact. It didn’t always happen right. 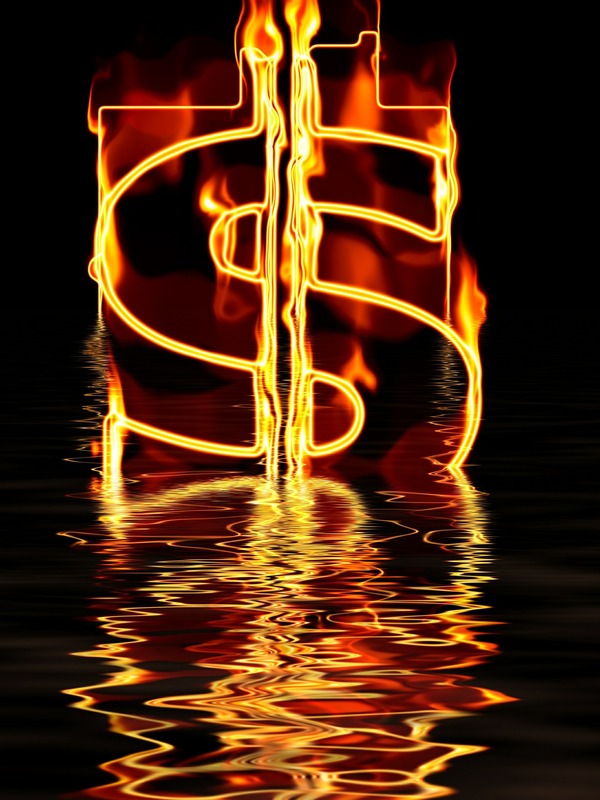 I once watched, wide-eyed, as a large, flaming hole formed in a child’s five-dollar bill. Another colleague borrowed a hundred-dollar bill from an American tourist, and then converted the bill to a pile of Canadian ash. He had put the bill in kerosene. Bloopers and gaffes create very real, very human moments. We get to see presentations as living performances, where the audience and the circumstances are as integral as the performers. They don’t have to be comedic moments either. Last year, I was at a large international conference. The speaker had just taken to the stage when the power went out. His slides were useless. So instead, he came out from behind the podium and gave a casual talk about the story behind his slides. It was one of the most enjoyable presentations of the whole conference. When mistakes happen, take it as your chance to relax and be human. Your audience will appreciate it. Nothing takes the place of repetition and rehearsal. At the science center, part of this repetition was built in; we did many of our shows daily, and many shows consisted of demonstrations we did consistently, even if they weren’t always part of a given show. If you want to feel comfortable delivering a presentation, then recruit your entire self into it. Rehearse. Try things out. Try out your presentation in a space and a situation that mimics the actual presentation situation. Play with it. Don’t just rehearse in your head. And don’t rehearse in the mirror—it will make you self-conscious and focused on yourself instead of your content, or your audience. Your whole body participates in your presentation, even when people hear only your voice. Allow your body to internalize your presentation as part of your muscle memory. Social support makes all the difference. I wasn’t the only one doing daily science shows. I was part of a team. Some were actors, others teachers, and others students or permanent science geeks. We watched each other’s shows. We gave each other feedback. We stole each other’s material. After shows and on breaks we would sit in the lunchroom and share our experiences. We laughed a lot. It was a safe place to talk about demos gone wrong, broken equipment, nightmare audiences. Some people were gifted storytellers, spinning small personal humiliations into stories that made us laugh and love their tellers even more. It was a way to revisit even upsetting experiences in a place that was safe and supportive while also being lighthearted. The lunchroom was a perfect place for putting stage fright into perspective. This last factor, I believe, is why I think my stint as a science demonstrator was so peculiarly effective in reducing my anxiety about being on stage. If you want to become more comfortable with public speaking, try to create a network of supportive colleagues—those who would be willing to help you try out material so you can see what works, and what doesn’t. It could be something you do for each other. Consider meeting via webcam if you can’t meet in person. A Skype call or a Google Hangout could work. Establish guidelines for giving gentle, non-judgemental feedback, and remember to ask your support network about what works and what you do well. We all have our strengths, and the more we see them ourselves, the better we’ll be at showing them. Stage fright is normal. It doesn’t have to be forever. It doesn’t have to be debilitating. I haven’t changed my essential nature. I still dislike elevator speeches. I’m still a natural introvert, and I am inherently anxious. And I’m not immune to gaffes and mishaps. I’ve fainted, fallen off stages, failed to prepare and suffered the consequences. Sometimes I still replay my mishaps, imagined and real, in my head, mortified all over again. But then I find ways to make light of them. In some ways, I’ve got an inner lunchroom now. We may think that becoming comfortable with speaking in front of others is a matter of conquering fear and anxiety, but in fact I believe it’s the opposite. I believe, if anything, it’s about befriending your fear and anxiety and finding a safe way to experience it until you adjust your perceptions to actual consequences. You might know intellectually that a bad public speaking experience will not be the end of your world, but you need to practice in order to feel it. And you need to feel safe. We can, and must, all create safe places and safe ways for exploring the unknown, whether it’s in our personal lives or in business. As solo entrepreneurs, we may not have a lunchroom full of co-workers, but we do have our loved ones and we do have each other. Use whatever networks you have, including AIIP, and create the safe place and networks of trusted friends you need. Solo does not have to mean alone. Stage fright is normal. We’re all human. We’re not perfect. But we can all be in this together. So go on out there. Take center stage. And have fun! 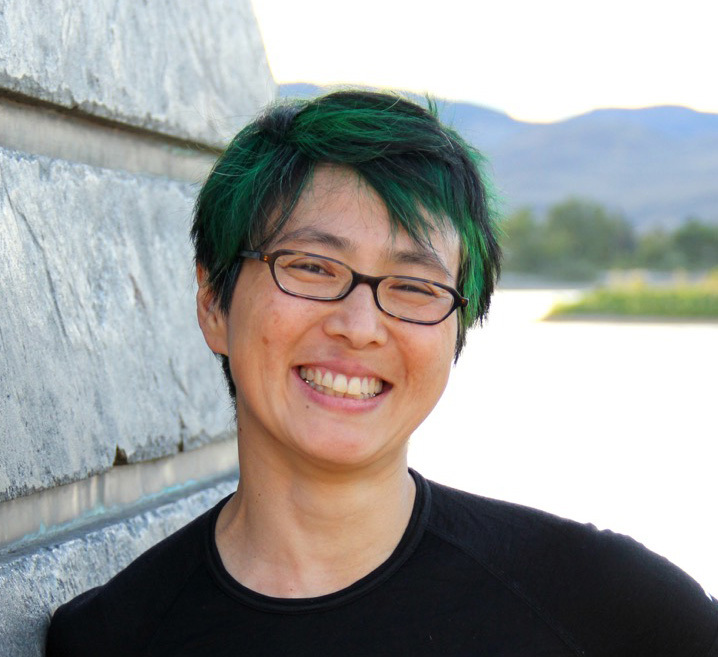 Cathy Chiba is all about communication, connection, and engagement—even when the topics are complicated or difficult. She owns Dauratus, which focuses on creating better, more engaging, and truthful conversations about technology. She is also a professional public speaker. Find Cathy at @cathychiba on Twitter or blogging at FreakandBrilliantMe. This article originally appeared in the AIIP member publication Connections, in the December 2015 issue (Vol 29, no 4). To read more articles like this or find additional information helpful to the independent info-entrepreneur, see our Connections issues archive.